We aim to ensure you find the instruments and equipment that best suit your musical needs. We are dedicated to helping you make the right investment. When you purchase an instrument from us you are buying more than just an instrument: you are buying our command of the industry, our in-house professional service, and above all, the honest and trustworthy advice you need to find the best instrument for you. 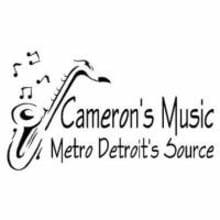 With over forty years in the musical instrument business and our unmatched repair expertise, you can trust Cameron's Music.